and keep customers coming back for more. Drive more traffic to your website and more prospects to your showroom. Post forms on your site, so car shoppers can register for more information and receive follow-ups. 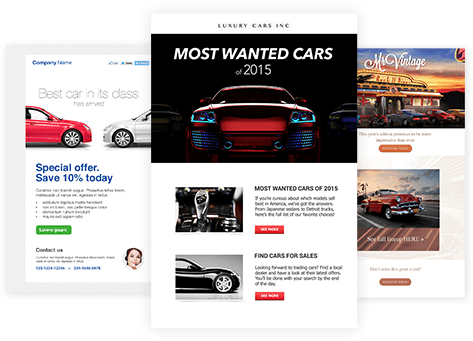 Create landing pages with in-depth automotive information prospects need before buying. Instead of traditional advertising, send video emails to display new car arrivals. Convert curious lookers into eager buyers. Set up timed messages to keep car shoppers engaged until they are ready to buy. Use our handy search tool to identify individual contacts and groups of like-minded shoppers. 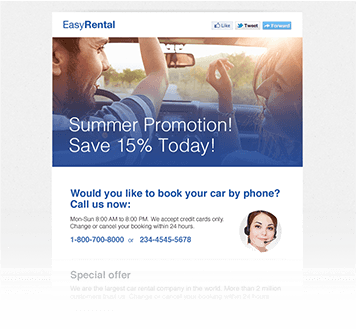 Personalize offers and seasonal promos with contact name and car preferences. 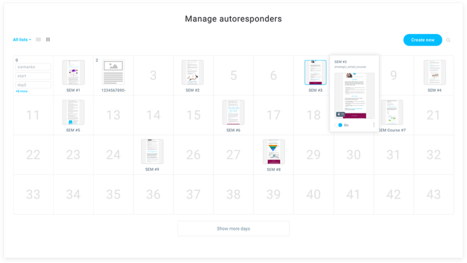 Assign fresh leads to autoresponder drip campaigns to introduce your dealership and deliver your value message. Keep in touch with your customers: after-sales service reminders, insurance offers, automotive news, promos. 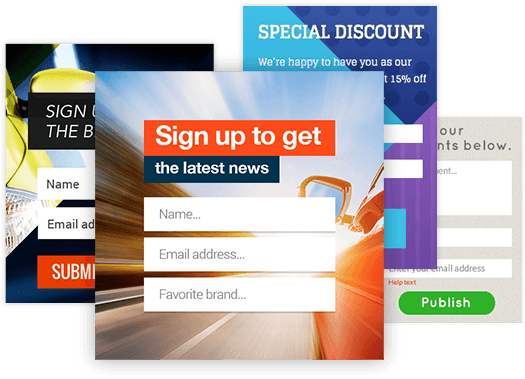 Creating spectacular emails and ads is easier than ever. Design dealership newsletters from scratch with our drag-and-drop editor. Choose from hundreds of templates to create a fresh look for emails, landing pages and forms. 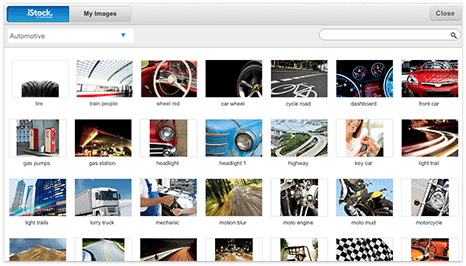 Style and enhance your car photos using revolutionary built-in image editor. Create multiple landing pages to feature new arrivals, showcase popular models and publish experience stories. See at a glance how subscribers respond to your messages by town, neighborhood, street, or individual. Use advanced segmentation to group prospects with similar automotive interests to deliver the deals they crave. Monitor your email campaigns and landing pages in real time on easy-to-read charts and reports. Click to preview your email design in dozens of combinations of browsers, formats, and email programs — mobile too! Use A/B testing to identify and broadcast the message version containing the most effective elements. Integrate Google Analytics with your email marketing and landing pages to track real-time results. Reach car buyers on the go. Keep up with mobile trends. 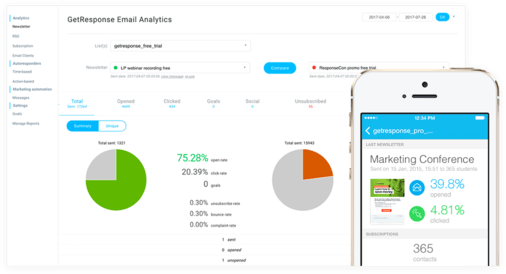 Deliver readable emails to smartphone users, thanks to GetResponse’s pioneering mobile-responsive email design. Add QR codes to car window stickers so prospects can tap their smartphone to view in-depth landing pages. 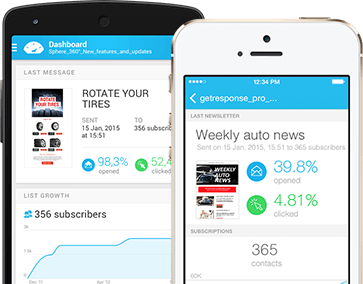 Deliver fresh content to mobile subscribers whenever you publish blog posts or car fact pages. Shift gears and take your customers to the next level. Send customized, automated, new car alerts. Share updates on legal changes and gas prices. Create useful newsletters about new accessories, tire tests, popular car rankings. Inform your customers about automotive trade shows, industry news, and latest offers. Transform your contacts into loyal customers. Introduce the friendly faces of your sales and service team with email marketing messages or webinars. Feature videos and automobile images to make the car buying decision easier. Send online surveys to contacts to get their opinions and identify their automobile needs. Hitch a ride on social media channels to ensure brand recognition. Place pre-formatted social media icons in every message to encourage contacts to share dealer promos. 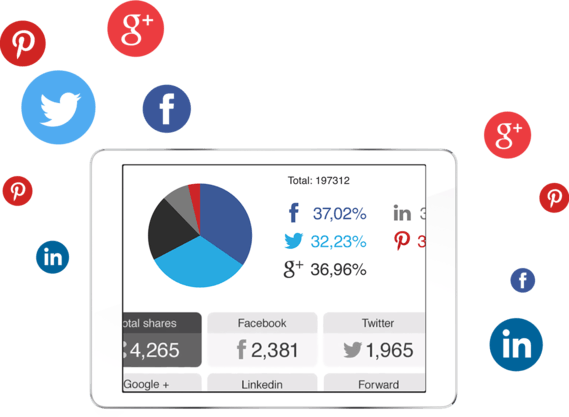 Use social tracking to identify social platforms where your messages get shared so that you can join the community. Distribute posts and vehicle pictures on Twitter whenever you publish fresh content. 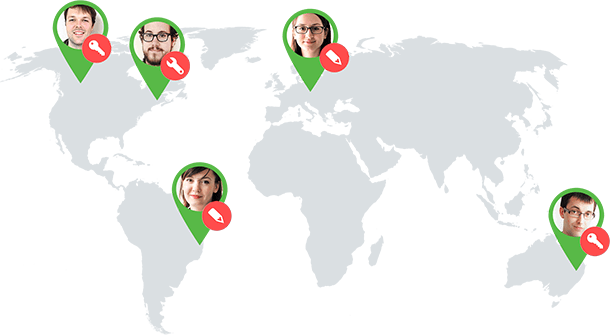 Manage your marketing from anywhere. Go mobile to get a competitive advantage over other automobile dealers. Download free user apps for smartphones and tablets in iOS and Android formats. Use your smartphone or tablet to check, approve and send drafts of offers and promos. Write and send plain-text emails from your mobile device to your entire list, a targeted segment, or one individual. Enable your advisors to connect easily with their customers. Choose our team option, so each of your outlets can manage local activities. Set up custom roles to give users access to dealership campaigns, lists, and custom permissions. Connect with your audience at a perfect time when they are most likely to open your emails. Track results in real-time by geolocation. Get quick answers to questions 24/7 using our online live chat feature, included free with every account. Speak with customer success reps during extended business hours for help with marketing, integrations and more. Visit our learning center for tons of free resources or email our reps for in-depth help with special concerns. Your customers will love the incredible campaigns you create using GetResponse. Find out all GetResponse can do for your automobile dealership.